“Our infrastructure is a critically important component for providing secure and efficient on-demand transportation in urban and rural areas,” he said. Working with five partners, Siemens’s research will use a field test route that runs through the campus and enables traffic simulation in a variety of real-life situations. Two types of vehicles will be used to research the interaction of intelligent infrastructure and vehicles: a highly automated single-seat car and a shuttle bus. 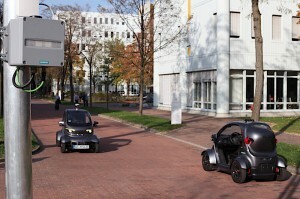 Siemens exited the automotive business in 2007, but has returned through its mobility unit. 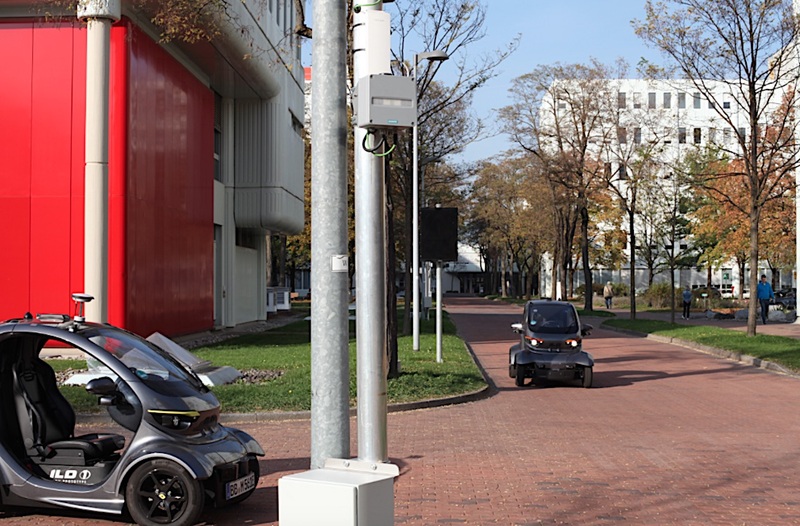 Emm Solutions, a provider of highly automated ILO1 electric vehicle to help improve monitoring the environment, the vehicle’s geopositioning, and communication management between vehicle and infrastructure. Siemens Mobility is responsible for overall project integration, as well as the roadside infrastructure and cloud-based software services. It will also evaluate various potential business and operating models. For Siemens, the mobility unit represents something of a return to the automotive sector, which it left in 2007 when it sold its automotive electronics business to Continental. The old Siemens/VDO unit, with its growing portfolio of electronic and driver assistance technologies, now serves as the hub of Continental’s self-driving vehicles. 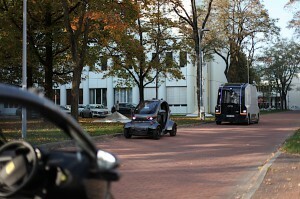 The company is testing small vehicles and shuttles on its Munich campus. 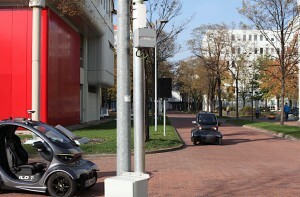 For the Munich tests, utility poles along the route have been equipped with laser scanners, radar units and cameras to monitor the overall traffic environment and precisely locate the vehicles. 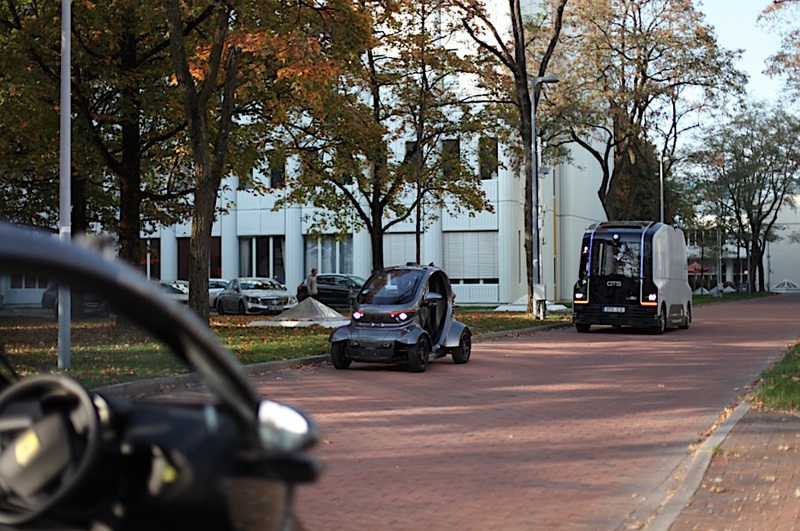 The project, ‘Optimized transport system based on autonomous driving electric vehicles’, is funded by Germany’s Federal Ministry for the Environment, Nature Conservation and Reactor Security, and aims to develop a system that provides autonomous driving options for the often neglected first and last mile of a journey. Throughout the project, the partners will demonstrate how connected and autonomous electric vehicles can improve road safety and efficiency while operating at the highest Level 5 autonomy, with no driver intervention. This entry was posted on Wednesday, October 31st, 2018 at and is filed under Asia Pacific, Automakers, Autonomous Driving, China, Driverless Vehicles, Europe, Markets, NAFTA, Sales, South America, Technology, Trends, U.S./North America. You can follow any responses to this entry through the RSS 2.0 feed. Both comments and pings are currently closed.